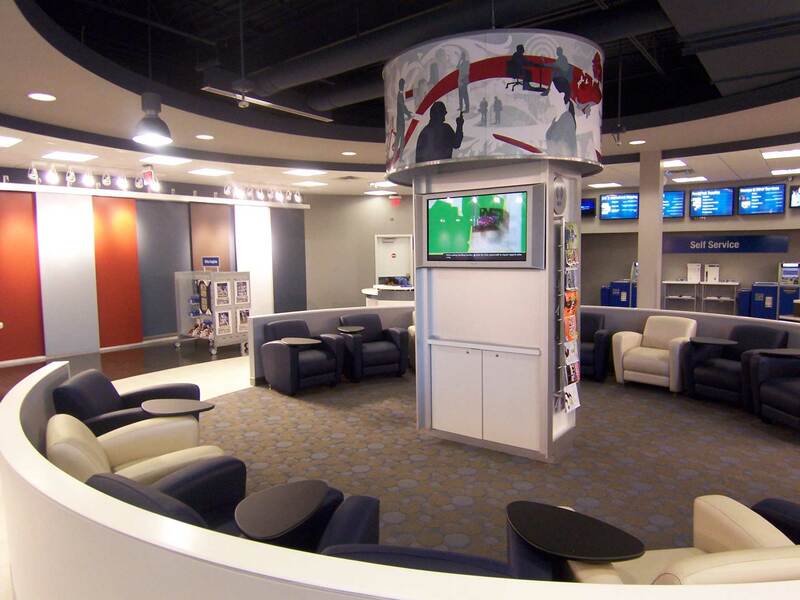 The USPS is pursuing a new business strategy to create a "Retail Postal Center of the Future” that meets the growing needs of the small business consumer. 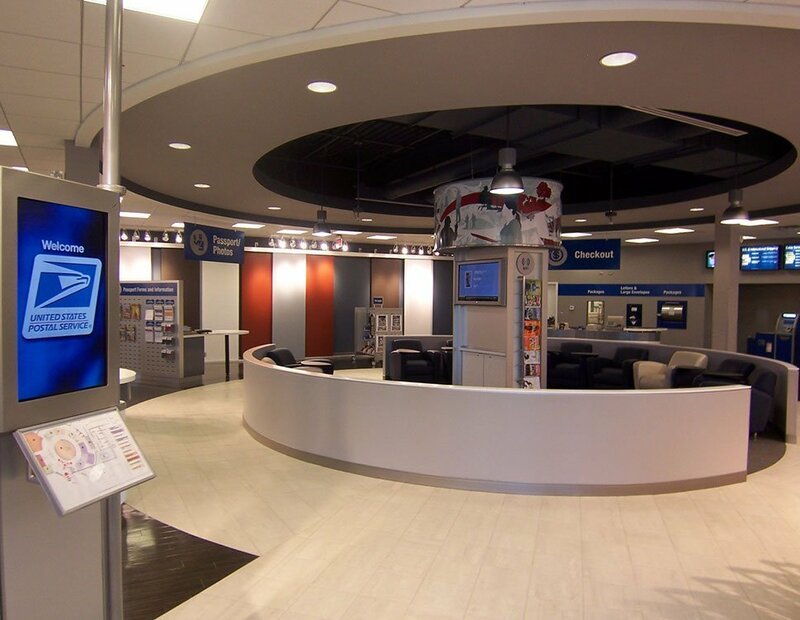 The United States Postal Service pursued a new business strategy to create a “Retail Postal Center of the Future” that meets the growing needs of the small business consumer. 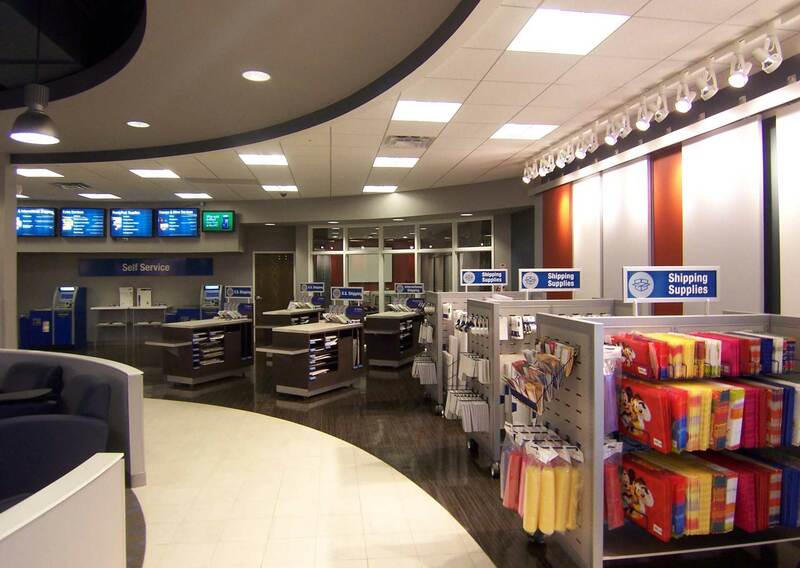 The USPS envisioned a one-stop shipping center that gives small business owners all the support they need to complete their shipping needs. The Retail Postal Center was conceived as a series of retail modules that radiated from a central core. 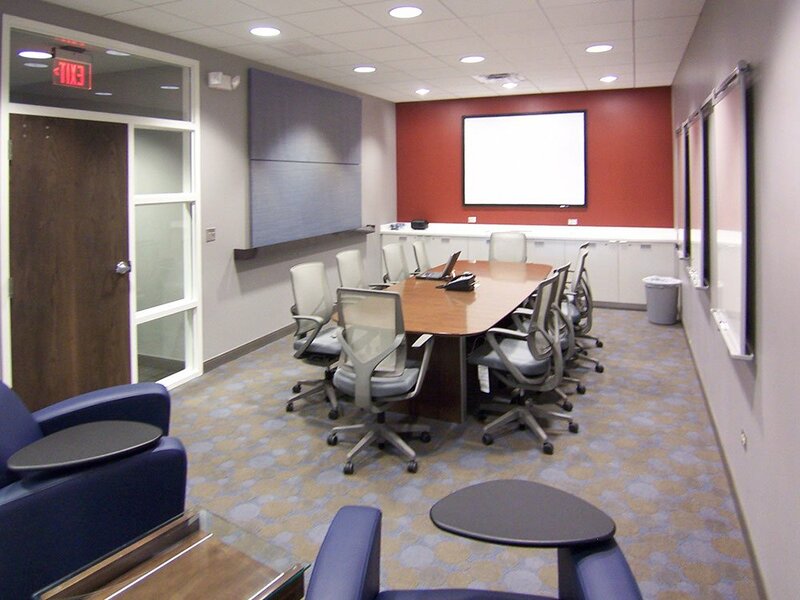 The modules included a Shipping Supplies Store, Pack and Wrap Stations, a Passport Counter, several transaction counters, a public conference room available to rent, and a bank of self-serve kiosks. 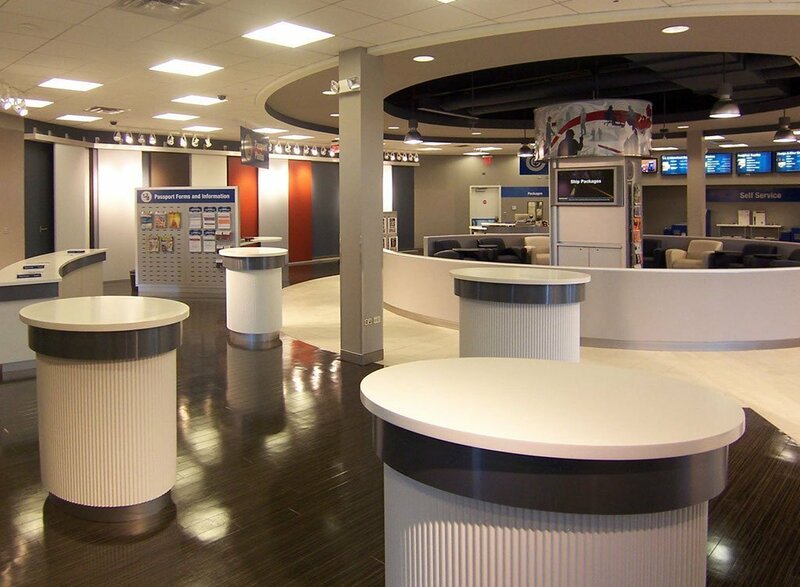 Central to this Postal Center is a customer lounge that has a media column offering televised media content, business news publications, and chargers for a multitude of devices. The colors and materials of the interior environment projected the Postal Service brand in a progressive and professional manner.